Are you thankful? 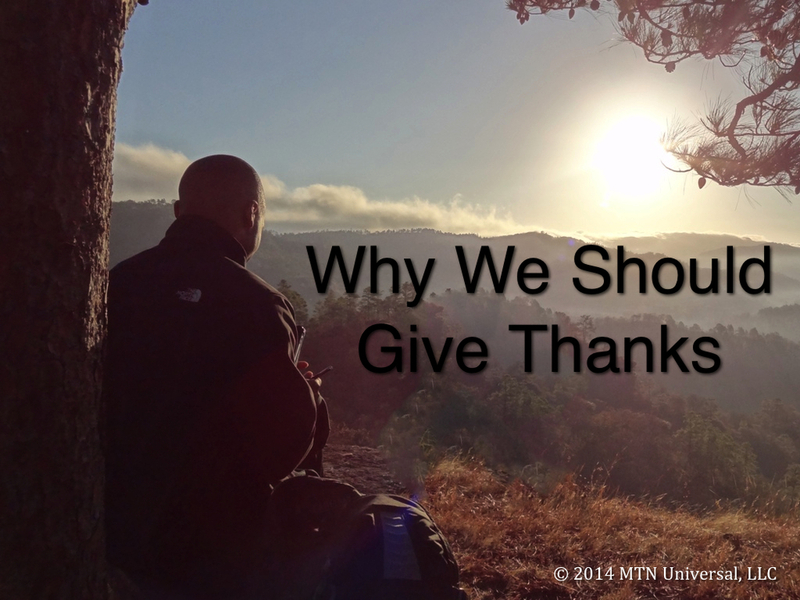 Why do we give thanks? Why should we keep thanksgiving in our hearts? We should be moved to give thanks on this wonderful holiday called Thanksgiving. However, Thanksgiving alone should not engender a spirit of thanks. Looking over our lives, I believe it will be quite easy to discover many reasons why we should have a spirit of thanks. Question: Are you only thankful around the Thanksgiving holiday? Just a few years ago, I had a wonderful opportunity to meet some beautiful people in Honduras during a medical mission trip. My Honduran friends taught me a lot about thanksgiving. I was blown away by there amazing spirit of thanks. Why? They lived everyday with thanksgiving. I’ve grown up in church. Sunday after Sunday, I have heard many people give thanks. I have heard many people say thank you after receiving a gift. But sometimes I believe we our thankfulness can be disingenuous. While in Honduras, our team would deliver a large bag of food that would feed a family for months. I remember standing in the middle of some homes made of sticks and plastic bags. But I also remember the sincerity of my Honduran friends thankfulness. I can still see their warm smiles, child-like excitement, and surprised eyes filled with tears. Likewise, I can still feel the bear hug embrace along with their heartfelt love. I had encountered a deep thanksgiving that transcended our human imaginations. After encountering these supernatural events surrounding these thankful spirits, I was left with a sense of amazement and self-assessment. I found myself assessing whether I was truly thankful or not. I needed to make sure I wasn’t just giving thanks with my mouth. Instead of lip service, I want my life to be lived with sincere thanksgiving. Question: Do you live everyday with thanksgiving? Thanksgiving is primarily a holiday celebrated by the United States and Canada. I am well aware of the history of Thanksgiving dating back to the early 1600’s. But I believe this one holiday should be celebrated everyday internationally. Why? "Everyone has a reason to give thanks." Question: Why are you thankful? Please share some or your entire list of thanks. Please leave a comment below, send me a tweet on Twitter, or leave a comment on Facebook.